Musically, I came late to a lot of parties. My uncle and aunt gave me Simon and Garfunkle’s Bridge Over Troubled Water (on cassette) for one of my birthdays. Then I discovered they’d broken up. Similarly, a friend introduced me to the Moody Blues one day by playing In Search of the Lost Chord. We listened to the whole album one Sunday afternoon. Of course, this was in 1974 and the band had already called it quits. But the Moody Blues helped me a lot in college. Knowing how to play their songs made me many friends. Even now, playing out every now and then, I can start in on “The Story in Your Eyes” and know that everyone is listening happily. 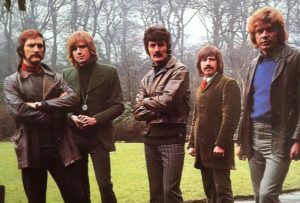 On December 13, the Moody Blues got inducted into the Rock and Roll Hall of Fame. The ceremony will take place on April 14. Sadly, one of the original seven members of the Moody Blues will not be able to be there. 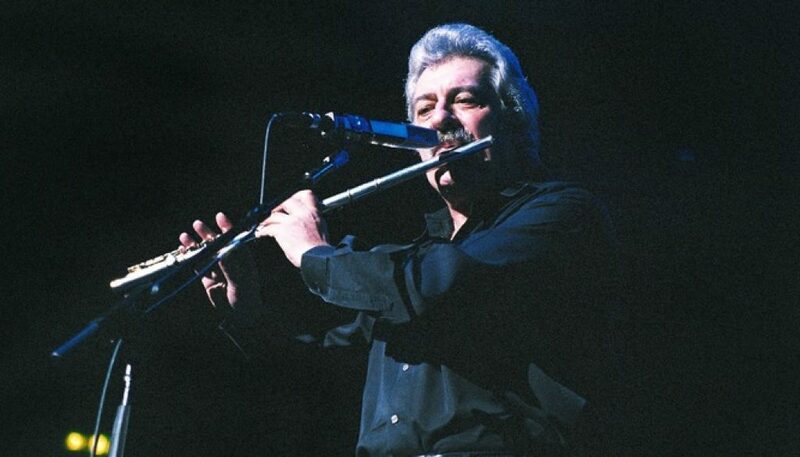 Ray Thomas passed away the fourth of January. That doesn’t surprise me at all. It’s all a question of balance, after all. I once had a cassette (I think it was) (I think–I think I am–therefore I am–I think [“Threshold of a Dream”]) of Caught Live + 5, and “Are You Sitting Comfortably?” is among my favorite Moodies tunes. “For My Lady” is another. One day last year, I was doing a Google Street View “tour” of parts of my old town in MA, and ended up with “You Can Never Go Home” (from “Every Good Boy Deserves Favour”) stuck in my head. Justin Hayward’s “Blue Guitar” (credited to Hayward and John Lodge, but actually only Hayward, backed by 10cc) and his “Forever Autumn,” from the musical production of “War of the Worlds,” are also stellar. That one always gets me now because I found it on my wife’s computer the day she passed away, when I was looking for her brother’s phone number so I could notify him. One of the two songs that I’ve won karaoke contests with was “Nights in White Satin.” I don’t think I’d attempt it today. Be well, Doug! It’s good to chat with you again.